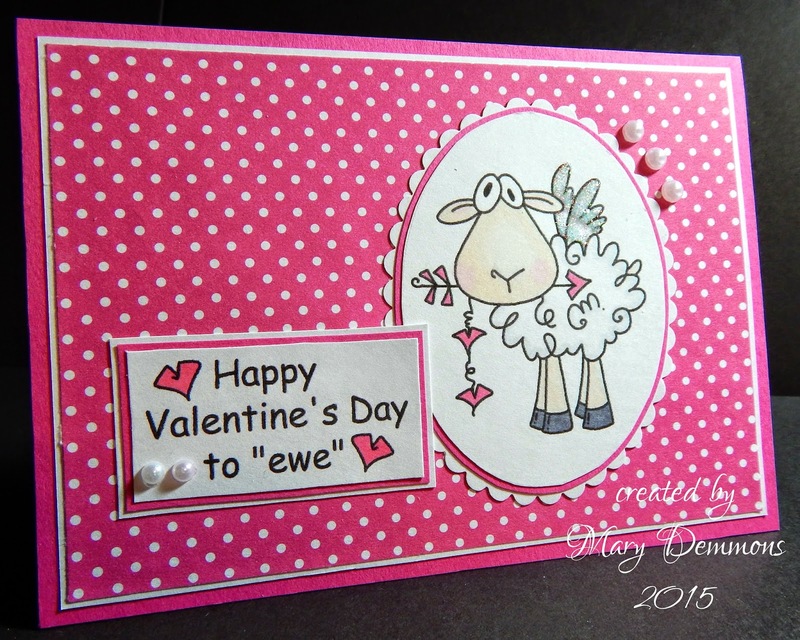 Mary's Crafting Corner: Happy Valentine's To "EWE"
This week at Catch The Bug Challenges there is a big 5th birthday celebration. Each day there is a new challenge. I created this card for day 2 (Sunday) using the provided sketch below. I started with a hot pink card base and added a piece of Recollections pink pindots patterned paper backed in white card stock to it. The image I used is Happy Valentines To Ewe from Bugaboo Stamps. I colored the image and the sentiment using Spectrum Noir pens. I cut the image out in an oval, backed it in hot pink and then again in white. I cut around the white using scalloped scissors. I also backed the image in hot pink and white. I added 3 snowflake pearls to the upper corner of the image to represent the stars in the sketch and 2 more to the sentiment. I added diamond stickles to the wings. Super cute and fun :-) Love the play on words! How adorable! I love the sentiment! 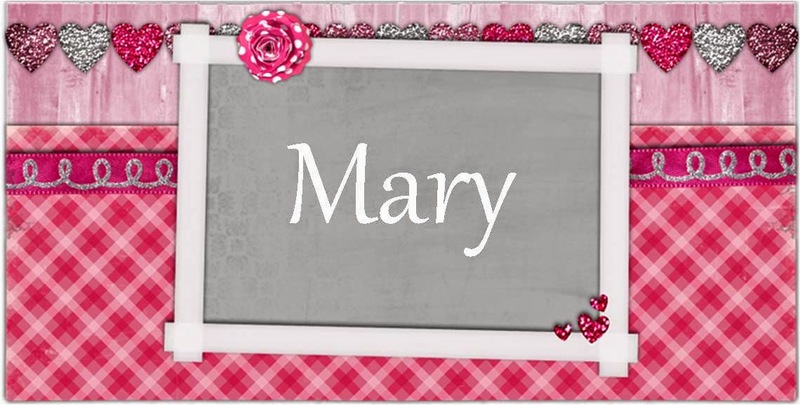 Thanks for playing along this week with our Sweethearts Challenge at Crafty Gals Corner! Very cute Valentine! Thanks for helping us celebrate Bugaboo's Fifth Birthday. Thanks for sharing your sweet card with us on Day two of our Birthday Celebration at Bugaboo Stamps. Thanks for joining in our 5th Birthday Bash Sketch Challenge @ Catch the Bug! One of my favorite Bugaboo images and love the monochromatic design you've used. 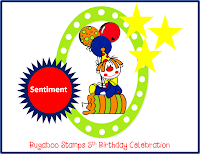 Thanks for playing along with us at Little Miss Muffet and for Bugaboo's 5th birthday challenge.